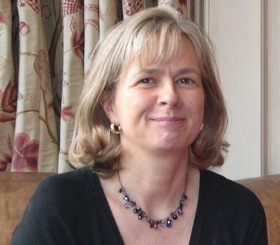 Jane Hart is the Director of the Centre of Modern Workplace Learning. Jane has been advising businesses for over 30 years and set up the Centre for Modern Workplace Learning to help organisations and learning professionals modernise their approaches to workplace learning – not just by updating their training practices but by enabling and supporting continuous learning. Jane is an international speaker on modern approaches to workplace learning, she is the Editor of the Modern Workplace Learning Magazine, and the author of a number of (online) resource books: Modern Workplace Learning 2019 and A Professional’s Guide to Modern Learning. Jane is also the Founder of the Centre for Learning & Performance Technologies (C4LPT) and each year she compiles a Top Tools for Learning list (now in its 12th year). In February 2013, the Learning & Performance Institute (LPI) presented Jane with the Colin Corder Award for Outstanding Contribution to Learning. In May 2018, the ATD (Association for Talent Development) presented Jane with the Distinguished Contribution to Talent Development award. You can contact Jane at Jane@ModernWorkplaceLearning.com for your Consultancy needs. Centre for Modern Workplace Learning is a trading name of Tesserae Ltd.